Andy Walding is recognized by Martindale-Hubbell as an AV® rated attorney. 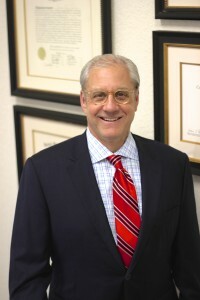 Since graduating from law school in 1990, he has litigated numerous and complex business, accounting, and other disputes in state and federal courts sitting in Oklahoma, Arkansas, Florida, Minnesota, and Nebraska. Until July 31, 2014, before co-founding Walding & Patton PLLC, with Blake Patton, he was a shareholder in a large law firm in downtown Oklahoma City. Before enrolling in law school, Andy spent two years in public accounting at the Tulsa office of a multi-national CPA firm. He left public accounting, and spent nine years in the natural gas liquids business. In 1987, after trading natural gas liquids in the Mid-Continent and Gulf Coast markets for several years, he sold his one-half interest in an ngl marketing company, and entered the University of Oklahoma College of Law. With his extensive background in accounting and business, Andy’s practice is and always has been commercially oriented. He has handled complicated and intricate business litigation matters, business divorces, contract disputes, oil and gas issues, trust and estate controversies, and other business disputes. He also provides representation to business clients caught up in the divorce courts, and before state and federal taxing authorities. Andy is a thorough, analytical problem solver. He understands litigation from the business client’s perspective. Walding & Patton PLLC is an Oklahoma City based law firm, focusing on civil litigation and trial practice.